There is a huge number of cooking oils and fats, each one of them with distinct features and different nutritional values. 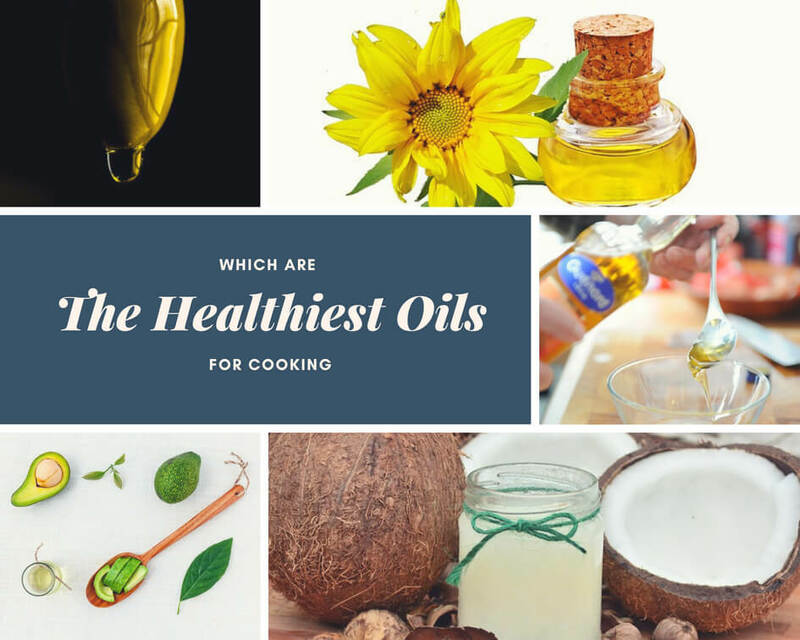 In this post I am going to try to classify the healthiest oils and fats to eat and to cook with. (olive, sunflower, peanut, corn, coconut, avocado, pumpkin, sesame, hemp, flaxseed, rapeseed, grape seed, soy). Vegetable oils are fats, which stay liquid at room temperature, and are pressed from the seeds or fruits of plants, through cold pressing or through solvent extraction. The best oils are cold-pressed, since this way they don’t lose their nutritional values, and fatty acids, antioxidants (polyphenols) and vitamins stay intact. Vegetable oils are known for their unsaturated fatty acids, rich in health benefits. Animal-related fats have a solid consistency,and are produced from animal tissues with a high fat content. Animal-related fats are richer in saturated fatty acids, which promote the production of cholesterol and may cause the onset of cardiovascular diseases. Which characteristics should the oils and fats we use for cooking have? They have to be safe in order to be used at high temperatures – they have to be cooking-resistant then. The smoke point (also known as the burning point) of an oil or fat is the temperature at which, under specific and defined conditions, it begins to produce a continuous bluish smoke that becomes clearly visible. Oils and fats resistance to high temperatures is given by the saturation degree of the fatty acids they are made of. Saturated and monounsaturated acids are more resistant, whereas oils with a high content of poly-saturated acids should be used less to cook and should be used more as raw, as they are richer in health benefits. Australian researchers have shown extra-virgin olive oil and coconut oil are among those oils that are best fit to be used for cooking. Whereas rapeseed, grape seed, sunflower seed oils give off more harmful substances once they get heated. Also called Ghee or “liquid gold”, has been used for centuries in India and its use is suggested by Ayurvedic medicine. 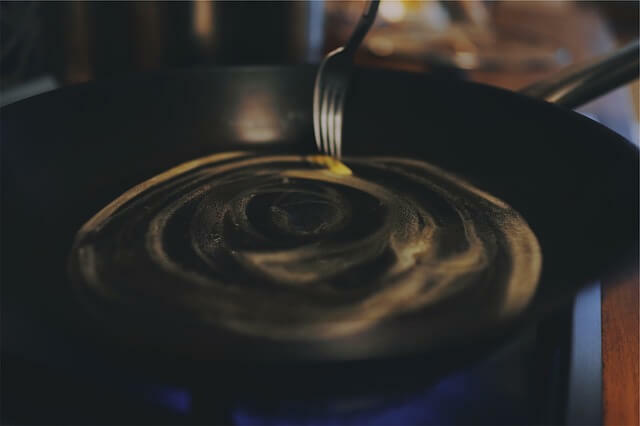 It is a kind of butter made up of just fat and has a very high smoke point (250° Celsius); it doesn’t give off free radicals, and this is the reason why it is ideal to use when you cook using a frying pan. Another valuable feature of this butter is it may be stored for long periods even out of the fridge, and is perfect for individuals who are allergic or intolerant to lactose or casein, because these substances are removed during the production process. 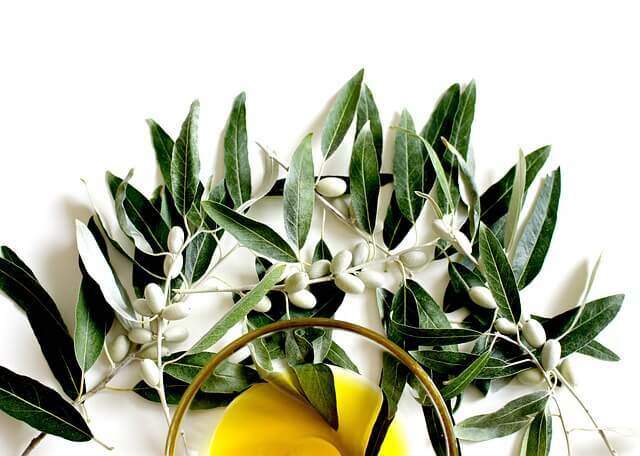 Extra virgin olive oil, which is pressed from olives, has one of the highest smoke points among other vegetable oils (210° Celsius), because it is made up of 14% of saturated fatty acids, 72% of monounsaturated (which guarantee the resistance to high temperatures) and 11% of polyunsaturated. It is ideal to fry and cook as a whole. Though we have to bear in mind that, cooking removes large amounts of tocopherol and polyphenols (antioxidants). In this case too we’re talking about cold-pressed coconut oil and organic, if possible. Like extra virgin olive oil, coconut oil is highly resistant to heat. This kind of vegetable oil has a high smoke point too (177° Celsius) and doesn’t give off toxic substances at high temperatures. This oil is made up of 48% of monounsaturated fatty acids, 34% of polyunsaturated fatty acids and 18% of saturated fatty acids; it has a high smoke point (180° Celsius) and may be used to fry. Nevertheless, because of its composition and its chemical extraction method, it is not the best option for cooking. 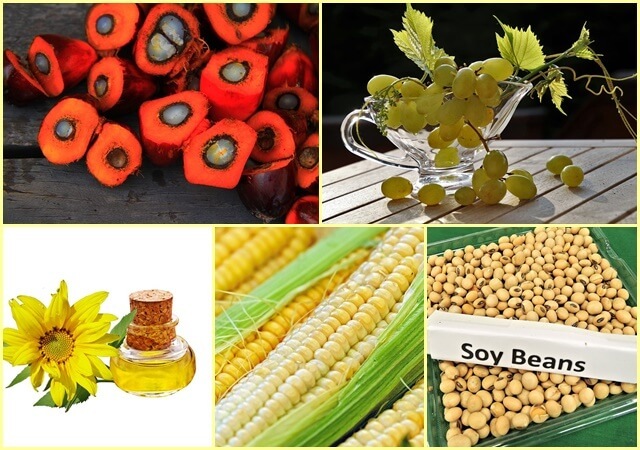 As concerns seed oils, (peanut, corn, sunflower, soy etc.) they have quite a high smoke point, though they are not fit to cooking as at high temperatures they promote the production of toxic substances (free radicals). It is also important to point out smoke point depends on the proper conservation of the oil (out of light and heat). Which are the best oils and fats to consume as raw? Clearly, it is the best option thanks to its characteristics and the valuable properties our health may benefit from: packed with antioxidants, it works as an anti-inflammatory, improves cognitive functions and memory, helpful in preventing a few types of cancer, etc. This oil (also known as linseed oil) is not fit to cooking, because it is mostly made up of polyunsaturated fatty acids (Omega-3), unstable at high temperatures, but extremely rich in beneficial properties if consumed as raw: lowers blood pressure and protects the cardiovascular system, valuable as an anti-inflammatory, improves cognitive functions and is helpful in preventing neurodegenerative diseases, such as Alzheimer’s disease. It has a well-balanced and healthy ratio of omega-6 and omega-3 fatty acids. Loaded with monounsaturated fatty acids (71%) and with a high smoke point, it would be fit to cooking, though since it is very expensive, it is not among the best oils for cooking in my perspective. Whereas thanks to its nutritional value, this oil is ideal to use as raw, to dress salads for example. It is extremely rich in vitamin E – essential for the good health of our skin and for a strong immune system. This oil is made up of medium chain fatty acids, which are rapidly transformed in energy, instead of getting stored as fat. This oil has a very good omega-6/omega-3 ratio, helps keeping cholesterol levels under control and preventing cardiovascular diseases. Which oils to use carefully? Corn oil and sunflower oil may seem perfect to be used for cooking thanks to their delicate taste and high smoke point, though they are mostly made up of omega-6 fatty acids, which prove toxic when they are excessive and when they reach high temperatures. Palm oil, though rich in antioxidants and vitamin E, has one of the largest amounts of saturated acids and this is the reason why it is unadvised by most nutritionists. Grapeseed oil – besides being extremely loaded with omega-6 fatty acids, this kind of oil may be packed with toxic substances, known as PAH – polycyclic aromatic hydrocarbons. This is the reason why it is advisable to limit the use of this oil to skin and hair only. Soybean oil is probably the worst oil you may use. Though it has a high smoke point, soy oil is likely to be a genetically-modified product (GMO) and, according to research, it may be even more harmful than sugar. Thank you for reading Which are the healthiest oils or fats to eat and to cook with? and if you find this article useful, please comment below and share it so other people can benefit from it as well! Great to get some clarity on such an important food source! Thank you so much for being so informative about oils. I am always experimenting. For one reason, I have found I am not tolerating oil well. And another I do not appreciate the fat content, lol. So it is really helpful to see the whole spectrum. My preference lately is safflower. It seems easier to digest. And i have totally given up anything with soy in it. I will come back to this site as a reference.